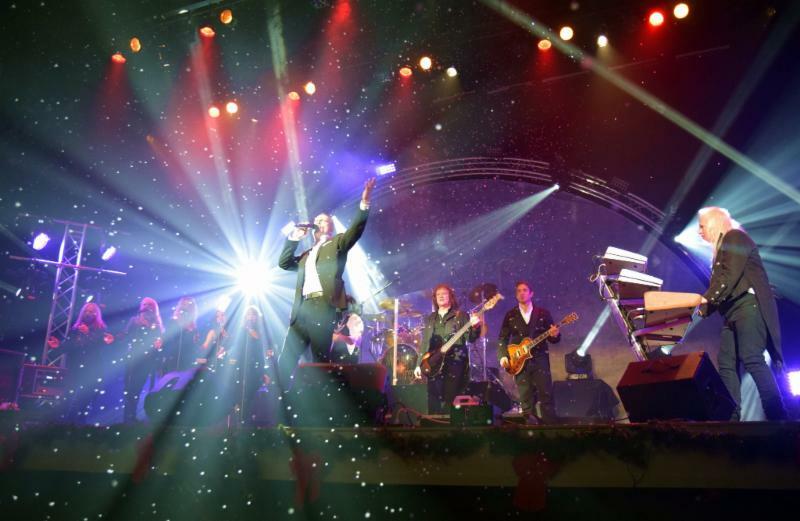 Holiday rock ensemble the WIZARDS OF WINTER – featuring former members of the Trans-Siberian Orchestra, Rainbow, Blue Oyster Cult, Ted Nugent and The Irish Tenors– will begin their annual holiday tour on Friday, November 16, 2018 in Westbury, NY! The tour will visit cities and towns across North America, coming to an end on December 29 in Derry, NH. See below for a full listing of tour dates. All dates are on sale now, and tickets can be purchased via individual venues. The WIZARDS OF WINTER are thrilled to announce the addition of several talented new members to their ensemble. The ensemble is pleased to welcome drummer and former Trans-Siberian Orchestra member John O. Reilly, Baritone/Tenor lead vocalist Karl Scully, lead vocalist/auxiliary keyboardist Rebecca Graae and lead guitarist Chris Green. John O. Reilly has recorded, performed live, and appeared on video with some of the best, including Ritchie Blackmore’s Rainbow, Bruce Springsteen, Joe Walsh (Eagles), Richie Cannata (Billy Joel), John Anderson (Yes), Geoff Tate (Queensryche), Tommy Shaw (Styx), Blackmore’s Night, West World, Jane Mangini (O’2L), Joe Lynn Turner, Blue Oyster Cult, Al Pitrelli (Megadeth), Robin Zander (Cheap Trick), Randy Coven (Yngwie Malmsteen), Zack Wylde (Ozzy Osbourne), TM Stevens (Steve Vai), Steve Morse (Kansas/Dixie Dregs/Deep Purple), Alan Holdsworth, Stanley Jordan, Reb Beach, Jeff Watson (Night Ranger), Rod Price (Foghat), Peter Noone, Davy Jones, Micky Dolenz, Bobby Sherman, Yoko Ono, Richie Havens and more. Reilly performed with the Trans-Siberian Orchestra for over 15 years. Karl was a member of The Irish Tenors and performed with them and as a soloist in Europe and the USA. He kick-started his career in 2000 when he played the role of Count John McCormack in the cinematic film “Nora”, by Pat Murphy and Gerard Stembridge, starring Ewan McGregor. He followed his on-screen success by performing operatic roles such as: Don Jose in “Carmen” by Bizet; The Witch in “Hansel and Gretel” by Humperdinck; MacHeath, in “Beggars Opera” and Albert, in “Albert Herring” by Benjamin Britten; King Ouf in “L’etoile” by Chabrier; Paolino, in “Il Matrimonio Segreto” by Cimarosa; Ferrando, in “Cosi Fan Tutte” by Mozart; and Arturo in “Lucia di Lammermoor” by Gaetano Donizetti. During his time in Italy, Karl was a permanent artist in the Teatro Carlo Felice Opera House in Genoa. While there he performed solo roles alongside world-famous artists including Samuel Ramey, Robert Brubaker, and Dwayne Croft.